Media: At the time of writing the Exchange 2013 CU5 download is over 5GB in size, if the site you are deploying on has a slow internet connection then you might want to consider getting the media and all the prerequisite software copied to disk before you start. AV Software: Does you current AV solution have a product supported for Exchange 2016? Backup: Does you current backup solution fully cover Exchange 2016? Note: In previous versions it would state the service pack and specific updates that needed to be applied, now the requirement is ‘fully updated’. Obviously a 10 thousand mailbox server processing 1 thousand emails a day, will have very different requirements to a server with 10 mailboxes processing 50 emails a day! RAM: 8 GB (Minimum) for Mailbox servers 4GB (minimum for Edge Transport Servers). HDD: 30GB for mail-stores, plus 500MB per language pack, and an additional 200MB free space on the system drive. 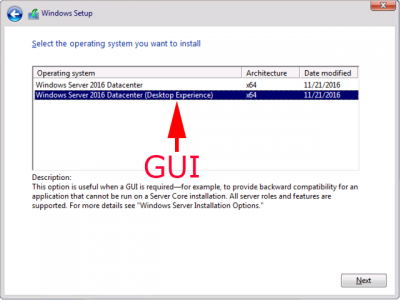 Windows Server 2012 Standard or Data Center, (not Core editions). Windows 10 (Management tools only). Windows 8.1 (Management tools only). *Although on the supported list, Microsoft have recommended that you DO NOT install the edge role on a 2016 Server. 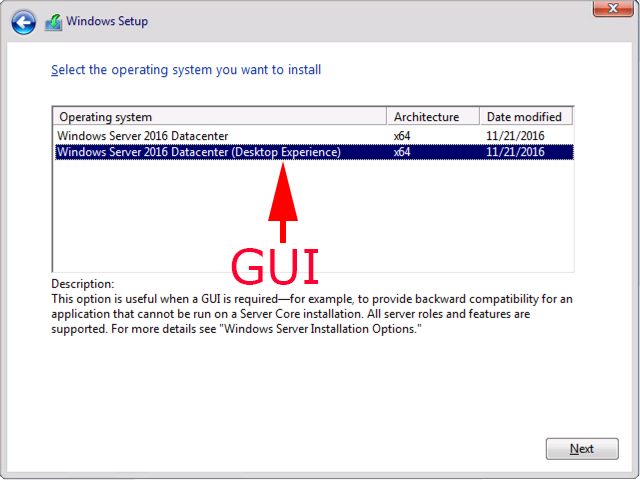 Note: If you have not installed Windows Server before ensure you choose the desktop experience option when you install it. Standard : 1 to 5 Mailbox databases. Enterprise: 1 to 100 Mailbox databases. And to access the servers, each client will need a CAL (Client Access Licence). As with previous versions they have given them the same names to confuse everyone! You do not need an Enterprise CAL for Enterprise Exchange, for example. The enterprise CAL just gives you some more features. Standard: The minimum required to access Exchange, (per database journaling/archiving). Enterprise: Same as above but allows per user journaling/archiving, DLP (Data Loss Protection), IRM (Information rights management search facility), and IPC (Information Protection and Control).